Destin Daniel Cretton has been tapped by Disney to direct Shang-Chi, Marvel‘s first film with an Asian protagonist. The talented writer/director is best known for the critically acclaimed 2013 independent drama about a group home for teenagers “Short Term 12,” which earned multiple accolades including three Independent Spirit Award nominations. Coincidentally, that film was the first lead feature film of actress Brie Larson, who herself is flying high this week as the titular superhero in another Marvel Cinematic Universe film Captain Marvel. According to Hollywood Reporter, Dave Callaham is writing the script for “Shang-Chi”. Callaham recently wrote the screenplay for “Wonder Woman” sequel “Wonder Woman 1984”, set for release summer of next year. 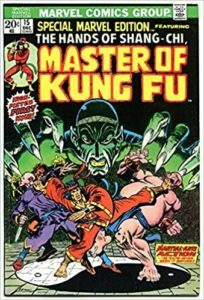 In the comics, the character is raised by his father, genius supervillain Fu Manchu. Shang-Chi is trained in martial arts and developed super-human skills. He later found out about his father’s true evil nature and the two became enemies. Decades later during the Marvel NOW! relaunch, he was recruited by Captain America and Iron Man to join Avengers. Cretton recently directed the upcoming biographical drama “Just Mercy,” which stars Michael B. Jordan and reunites the director with Larson.